Axalta Coatings has recently purchased Ellis Paint. Ellis Paint has been an innovator and leading supplier of industrial paint and coatings for the last 130 years. They are broadly recognized as a pioneer in low VOC paint development and for early compliance with air quality standards set by Southern California's Air Quality Management District. Volatile Organic Compounds or VOCs are carbon-containing compounds that are released into the air as paint dries and cause health issues and contribute to ozone pollution. As an authorized Axalta/Ellis Paint Distributor, Fullerton Paint & Flooring carries a full selection of Axalta/Ellis Paint's VOC-compliant industrial coatings. Its Hy-Lux line of waterborne enamels and primers now under the new Tufcote LV label adhere to metal and wood surfaces and quickly dry to provide a long-lasting, durable coating. The Maximus series also under the new Tufcote LV label includes both waterborne and solventborne industrial primers, enamels, epoxies, and polyurethane coatings that comply with strict SCAQMD requirements for VOC ratings. Suitable for a number of industrial applications, Maximus' direct-to-metal coatings can protect steel buildings, construction equipment, pipe lines, machinery, and industrial vehicles. The rust-inhibitive properties combined with its durability make Maximus a preferred coating for aerospace, oil drilling, and construction industries, as well as hotels, hospitals, and school facilities. The Decade line now Tufcote LV includes a self-priming, low VOC urethane enamel that saves time and provides tough finish for concrete floors, steel decks, and storage tanks. 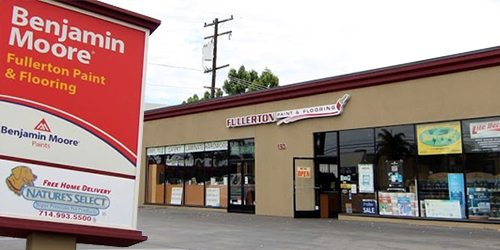 In addition to Axalta's industrial coatings, Fullerton Paint & Flooring also stocks their Pinnacle wood finishing line. The Pinnacle wood finish line is a two component polyurethane clear finish that provides a very durable wood finish. The Pinnacle clear is available in matte, satin, and gloss. Fullerton Paint & Flooring is the best paint store in Orange County to call when you are looking for Axalta formerly Ellis industrial coatings. You can call ahead to place an order for pick up or delivery, or stop by and talk to a paint and coatings expert. Everyone on our staff has at least 20 years of experience and has the knowledge to help you find the right product for your specific needs.